Does he get the points back when he poops out the daughter? I don’t know if this is something you can fix, and it’s pretty minor, but in your RSS feed, I can’t tell what is new and what is old because there isn’t a little icon next to the ones I have clicked. Yeah, devouring someone at an interview is a real faux “paw” man. 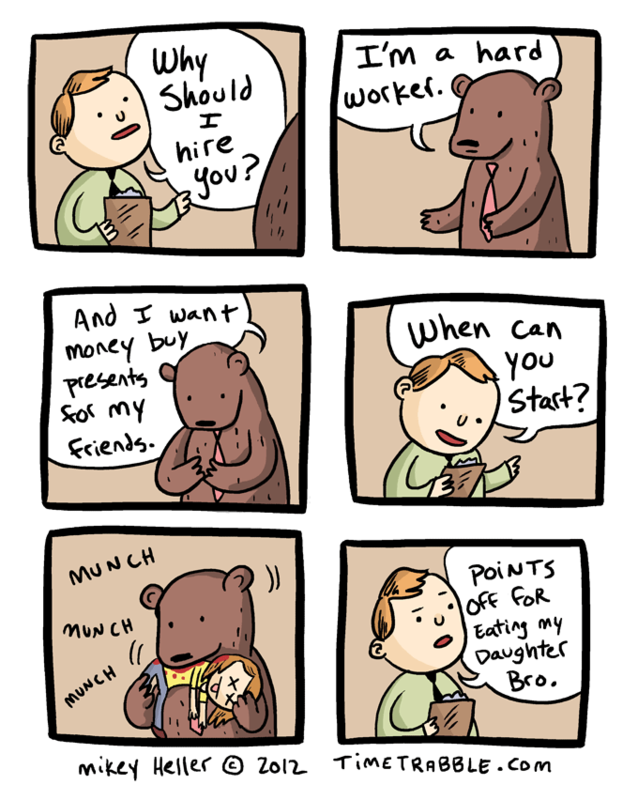 Yeah, bears can be equally an asset and a disadvantage to a workplace.